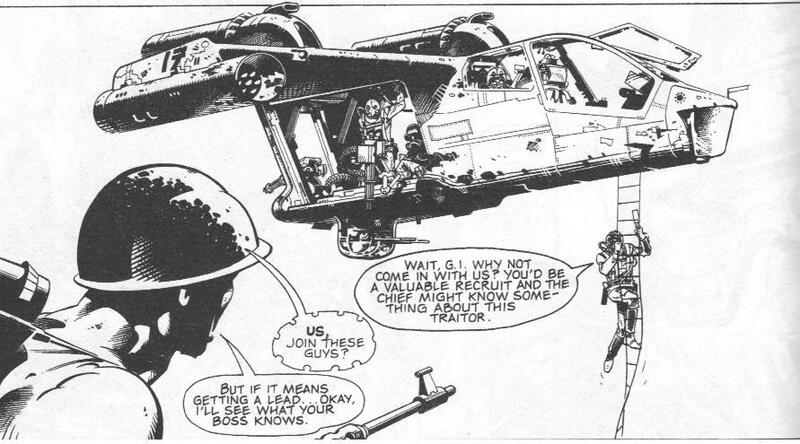 A recent online discussion reminded me of the New Zealand comics’ artist Colin Wilson and the incredibly realistic hardware illustrations he produced in the early 1980s for “Rogue Trooper”, 2000AD’s influential future war series. Some of the best – and most convincing – designs in futuristic weapons and machines I’ve ever seen came from Wilson’s accomplished hands, hardly surprising given that many were clearly based on contemporary military technology. From the Mil Mi-24 Hind, the famous Soviet-era attack helicopter, to the lesser-known Centurion main battle tank Wilson took real world inspirations and extrapolated their future equivalents in technically exquisite detail. One was left thinking that if such machines did not exist in the present they most certainly would do so at some stage in the future. After my first exposure to Wilson’s carefully engineered designs I spent much of my teenage years copying his style and still do so whenever I turn to Science-Fiction themed art. In a long and extremely varied career the New Zealander went on to contribute to the Star Wars franchise beginning in 2007 with artwork for the comic book series “Star Wars: Legacy”. However his influence is in evidence well before that through the likes of the “Low Altitude Assault Transport/infantry (LAAT/i)”, a CGI military aircraft that features in the 2002 movie “Star Wars Episode II: Attack of the Clones” and which bears an uncanny resemblance to the hardware designs produced by Wilson for the Rogue Trooper story “Marauders” way back in 1982.